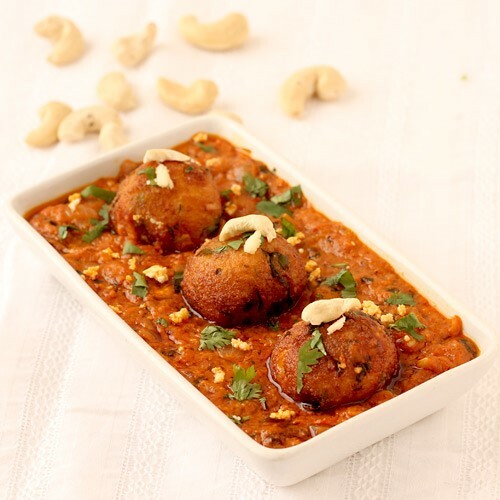 Stuffed Paneer Kofta is yet another mouth-watering cuisine for the Punjabi households. The dish comprises of 2 different parts, the Kofta and the gravy that are prepared with variations across different regions. For example, in middle ease Kofta is a meatball usually stuffed with lamb and beef while in Europe, the dish is served without gravy as a Kebab. 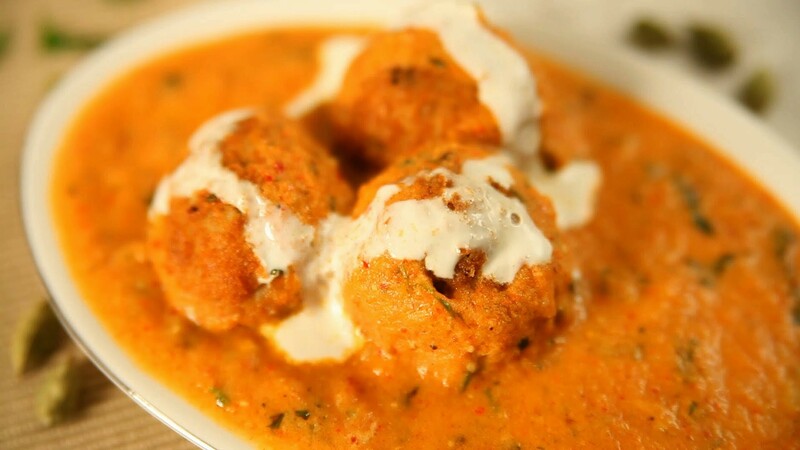 The Paneer Kofta is indeed the most popular variant of Kofta in India. The dish is either served as a snack or as curry. Serving the dish with cashew nuts over it would further add to the sumptuousness of the dish. In order to avail all these ingredients at concessionary prices with the comfort of getting them delivered to you on your doorstep, you can check out a number of online grocery stores like grofers, Bigbasket, Amazon pantry etc. Take cottage cheese, potato, green chilli, lime juice, corn flour, salt and coriander leaves in a bowl. Blend the ingredients and create a smooth mixture. Grease your palm with oil and divide the mixture into 6-7 equal parts. Give a ball-like shape to each part and then flatten it with your hands. After this, you are required to stuff the flattened mixture with 2-3 cashew nuts each. Followed by this, you are required to wrap each one of them in a ball like shape. Heat oil in a frying pan and then slide in 3-4 parts of round mixture and fry it on medium flame until the colour of mixture turns to goldenish brown and it is crisp. Repeat the same with other parts and once it’s done, transfer them to a plate. Blanch some tomatoes (and prepare a tomato puree) and grind cashew nuts(soaked) with two tablespoons of water to make the paste. Heat some oil on medium flame in a pan and add some cumin seeds. When they begin to crackle, slide in cinnamon and cloves. After that, add crushed ginger-garlic and sauté for around 20 seconds. Add onion and chopped green chilli and quickly fry it for 2-3 minutes. Add tomato puree prepared in step 1. Stir the mixture and cook it for a minute. Then add fenugreek leaves and ½ cup water. Cook the gravy for 4-5 minutes. Add the stuffed balls prepared above and turn off the flame and you’re done with your delicious creation. Transfer Kofta Curry to a serving bowl and garnish with grated cottage cheese. Add some personal touch to your creation by serving your appetizing home-made dish with authentic Indian breads such as Naan, Paratha, Tava Roti or rice. 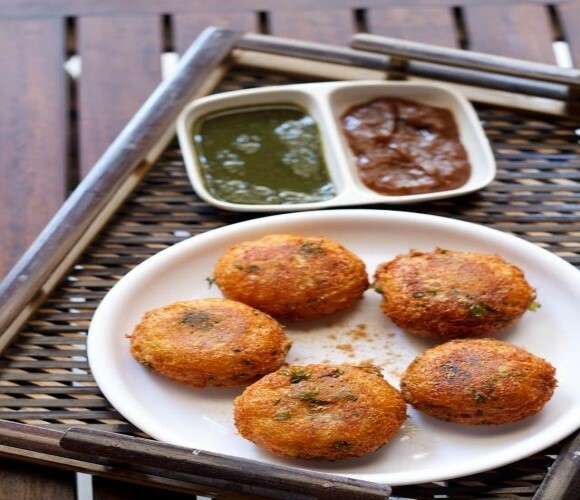 You can also serve the treat as a snack with green chutney and tomato sauce. Also, if preparation is a hassle for you, you can order this dish online on Freshmenu at a pocket friendly price. Furthermore, you can avail additional discounts and offers on your orders by applying Freshmenu coupon or promotion codes. Your Stuffed Paneer Kofta would certainly leave your relatives licking their fingers and thereby signifying a typical Punjabi fulfilment!